This political discussion is largely absent from the general populace of Glass. The average person, known as an employ, is too distracted by the meaningless pursuit of status and the furthering of their careers, unaware of the impossibility of upward class mobility. The Krugers have established their totalitarian control over the ruling government. Mirror’s Edge: Catalyst’s nation of Cascadia was formed with democratic ideals, but quickly began curbing voting rights. In Faith’s time, Gabriel Kruger is a clear autocrat, unquestioned by the employs. Political suppression starts small though. Government initiatives such as requiring ID’s to vote, decreasing opportunities to vote by removing early voting, and removal of voting rights for committing crimes, even misdemeanors, are seeds of large scale political suppression, and they are all already happening in America. 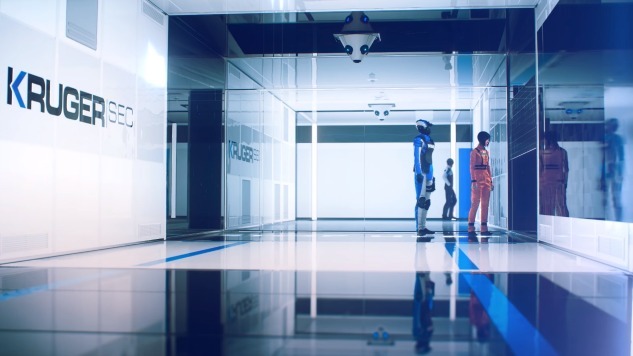 In addition to the results of such political oppression, Mirror’s Edge: Catalyst also depicts the endpoints of an unchecked militaristic police force. Kyle McKenney writes for Swarthmore College’s student newspaper the Daily Gazette and is an intern at Paste. You can follow him on Twitter @TotallyKyle95.